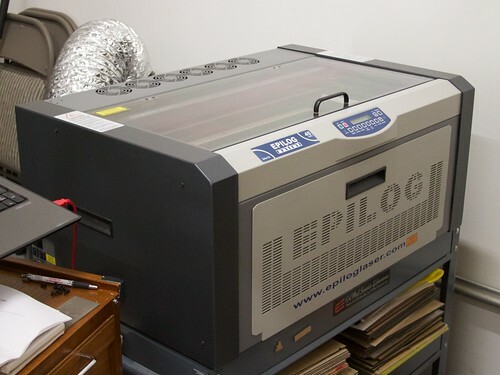 One of the most useful tools in our shop is our laser cutter— or more formally, our low power carbon dioxide laser cutting and engraving machine. We use it for all kinds of mechanical prototyping, cutting parts out of wood and acrylic, and even some production parts, like the cases for our clock kits, the custom cloth numbers on our d12 and d20 bag kits, and the pen arm on the Eggbot kit. And while this has been a fantastic and reliable machine for the last several years, eventually the moment that we had dreaded arrived. Our laser power began to droop, and it started getting harder and harder to cut through the materials that we regularly work with. A visit from a technician confirmed that the power had fallen significantly, and that we needed a new tube. The replacement process is actually managed as a swap: The factory sends us a new laser cartridge, and we send them back our old one. But on the bright side, we get to take a close peek at the laser hardware. 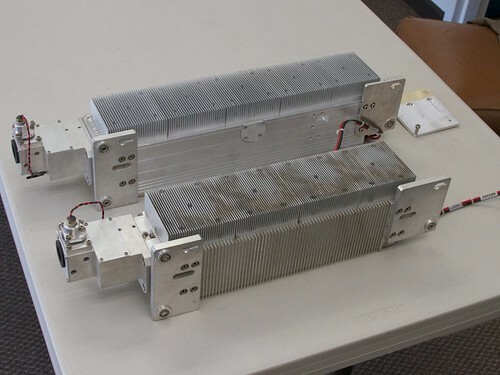 It is interesting to note that many commercial laser engravers have user serviceable parts inside. Even the laser cartridge itself can be replaced by relative novices. The smaller (closer, dirtier) of the two cartridges shown above is our old one, and the new (well, refurbished) cartridge came with installation instructions and mounting bracket adapter to compensate for the change in shape from the previous cartridge to the newer one. 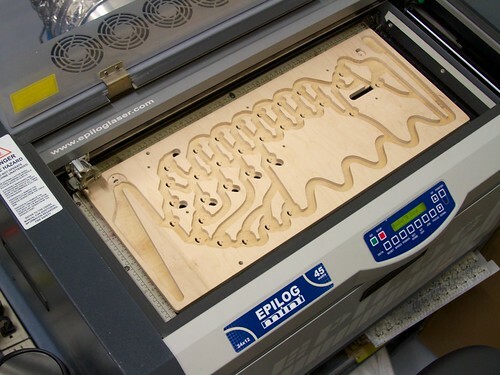 This entry was posted in EMSL Projects and tagged laser cutter. Bookmark the Permalink.